Double lecture & Hanukah Party with Refreshments! Our ancestors each had many different given names and nicknames, in various languages and alphabets. 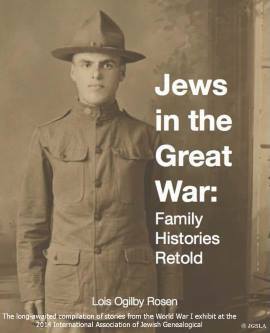 This presentation will teach you about the history and patterns of Jewish first names, and how to recognize your ancestors’ names in genealogical sources. Learn why “Mordechai Yehuda” is also “Mortka Leib” is also “Max”! The second talk will cover the history of surnames – origins, types, and etymologies. Learn when they were first used in various countries, how they developed, and their transformation upon immigration. Discover which Jewish surnames are the most common in the US, Eastern Europe and Israel, and sources for learning more about your surnames. Topics include: Religious and secular names; origins of given names; variants, nicknames and diminutivupcpmes; double names (unrelated pairs, kinnui, Hebrew/Yiddish translations); patronymics; name equivalents; Ashkenazic naming traditions (naming of children); statistics on the distribution and popularity of given names in various regions and times; spelling issues; Polish and Russian declensions; interpretation of names in documents; and the Anglicization of immigrant Jewish names: adaptations and transformations. Please Note: The doors open at 12:30 PM and the JGSLA Traveling Library will be available starting at that time. The talk will begin at 1:00 PM.